As I rode the subway home yesterday holding me Metro card — my ticket — in my hand, I realized that if you think about your life as a performance, you are in control of who (and what) gets tickets to this priceless event. It’s up to me—and to you—to be mindful in deciding who we allow front row seats in our lives. My health is the most important thing in my life. Without good health, physical and mental, I wouldn’t be able to live my life — to enjoy this one performance — to the fullest. But in the busyness of life, it’s easy to let our priorities slide. Sometimes we forget to manage our mental health or we put it off, acting as if we’re ok when we really aren’t. When it comes to interacting with our bodies, we need to be mindful who we give tickets to that also. We only get one body in a lifetime. That means no matter how many scapes and scratches we get on it, we can’t return it or swap it out for a new one. How often do we forget to take our medication? How often do we know that we are tired and yet we push on anyway. Are you still holding on to a life event that may have happened years ago? Void that ticket and begin to enjoy your life. If you want support in living your best life, Harlem United is here for you. From doctors to dentists to mental health counselors to day programs to recovery support and more, whatever you need, we’ve got you covered. Learn more about Harlem United’s programs and services here. 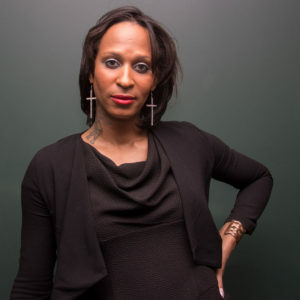 Yonce Jones is a Peer Empowerment Leader in Harlem United’s client advocacy program. You can learn more about Yonce and her fellow Peer Empowerment Leaders here. No Replies to "Who has tickets to your life?"